Starting life as a sleepy, soulful blues band in 1995, Empty Bed would end up finding themselves as a funky, foot-stomping party band before they their time was up three years later. Featuring Dylan Edwards (vocals), Andrew Foster (guitar), and Phil Reinfrank (drums), the band recruited bassist Michael Caruana who was also playing in metal band Manifest. The unlikely recruit had an unlikely influence on the band, as they began writing more up-tempo, and generally cheeky tunes. 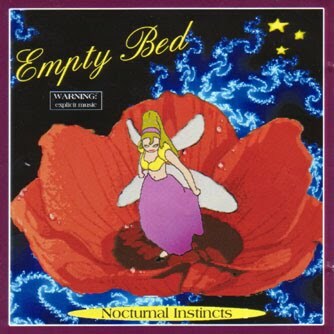 Empty Bed's funky and upbeat sound set them apart from the myriad of grunge bands in the area at the time. The band gigged regularly throughout 1996-97, hitting local venues alongside The Merkins, Ventolin, Vvovo and Naiad as well as landing a couple of supports slots with Ian Moss and Choirboys. In late 1997, the band recorded six tracks at the Wollongong Youth Centre with Brent Williams (Zambian Goat Herders, New Christs) at the helm. Released as Nocturnal Instincts in May 1998, the EP was launched at the Oxford - a gig that saw a fight erupt in the carpark between the band and the support act Tank'o'piss. In July 1998, the band had been scheduled to perform at the North Gong band comp. However, Foster abruptly quit the band to pursue a career in sound engineering. Unable to replace the unique stylings of Foster, the band chose to forfeit and disband entirely. These days Edwards runs a community theatre group in Byron Bay, Caruana went on to play in Side Effect X and contribute to the success of the Wollongong Music Round Table. Foster travels the world as a roadie for stadium bands, whilst Reinfrank quit the scene altogether. Thanks to Michael Caruana for his assistance with this post.